Accounts which have just been published by the University show that Professor Sir Christopher Snowdon's pay increased to £433,000 in 2016-17. It has been revealed that the University of Southampton’s Vice-Chancellor, Professor Sir Christopher Snowdon, was paid a higher amount during 2016-17 than the previous year. Accounts which have just been published by the University (page 43) show that the total remuneration paid to the Vice-Chancellor in 2016-17 was £433,000, compared to the £352,000 he was paid during his previous year for the 10 months he was employed. The revelation of this increase comes after the University announced a controversial series of plans, including, reducing the number of faculties at the University from 8 to 5, and closing 75 academic posts to save money. The University has also recently been criticised for recruiting a Chauffeur to drive a car for senior staff while cuts are being made elsewhere. The high pay packets of University Vice-Chancellors have become increasingly controversial in recent months. Universities Minister Jo Johnson has previously publicly criticised Snowdon’s salary, while the University of Bath’s Vice-Chancellor Dame Glynis Breakwell quit her post after it was revealed that her annual salary of £468,000 made her the highest paid Vice-Chancellor in the UK. Professor Snowden was already one of the best-paid vice-chancellors in the UK, on a salary that had been publicly questioned by the universities minister. To accept this kind of pay rise while saying he must axe 75 academic jobs because money is tight beggars belief. As does the fact that he has also recently advertised for an executive chauffeur. Sir Christopher Snowden, President and Vice-Chancellor of the University of Southampton, was paid a salary of £423,000 from 1 August 2016 to 31 July 2017. He is not entitled to or paid a bonus, and the university makes no contributions to his pension. In 2016-17 he was awarded a salary increment of 1.1% in line with the higher education national pay award. This was the only increase in his remuneration since his appointment, and he has declined a similar increment for 2017-18.The lower salary figure published for 2015-16 reflected only 10 months of his first year spent in office. 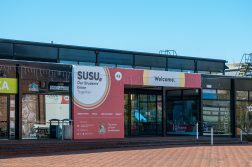 The Vice-Chancellor’s salary was set and is regularly reviewed and agreed by the University’s independently-chaired Remuneration Committee, which reports to the University Council. The Vice-Chancellor is not a Member of the Remuneration Committee and only attends by invitation to discuss other business. His remuneration, which has risen by only 1.1% since he joined the university, reflects his experience. Southampton’s previous Vice-Chancellor, Professor Don Nutbeam, also generated controversy for his high salary and the revelation that he was paid a further £252,000 by the University after leaving office. 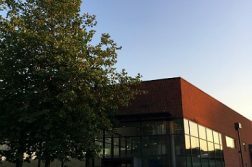 While the UCU states that the University had not responded to a series of Freedom of Information requests on the Vice-Chancellor’s pay, the University spokesperson clarified to Wessex Scene that the University was in the process of responding to their requests at the time that the union published their annual salary survey for 2016-17, and had not in fact issued a refusal to respond. They added that much of the data related to the Vice-Chancellor’s remuneration is publicly accessible via the University’s financial statements, which are published each December.